June is beautiful, but cruel in southern Arizona. Here in Tucson we are sizzling in triple-digit temperatures already! In fact one can cook a meal on the dashboard of a car if parked for a few hours under the naked sky and exposed to the brutal intensity of the sun. Everybody seems to love trees here in June for their protective shade. Even those who complain about how messy trees are—with their shedding leaves or pods and drippings of birds housed in their branches—tolerate trees while waiting for the monsoon season to arrive. The picture below looks like a perfect dream for June — beautiful trees and water! 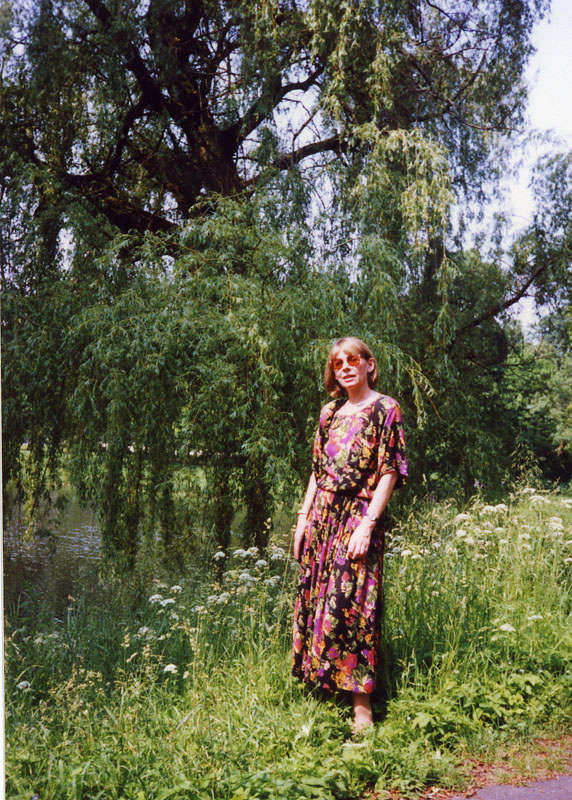 In fact it is a photo taken in June, but in distant Poland during one of my visits there. 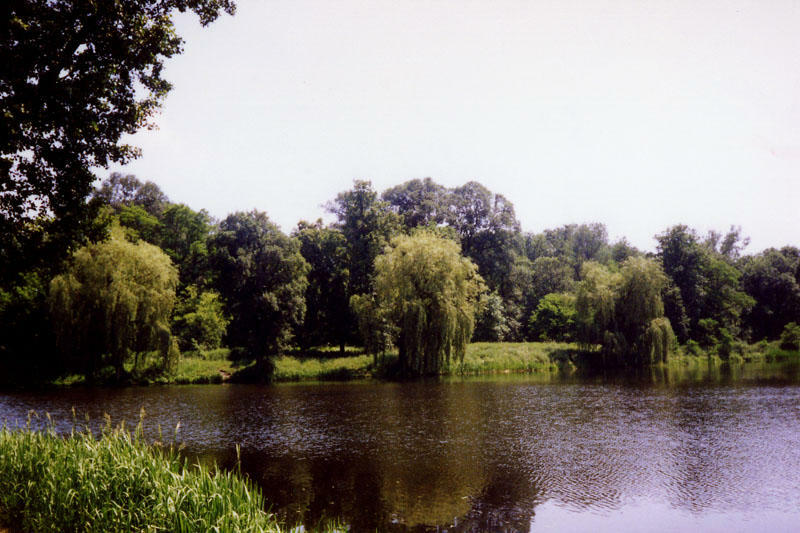 I grew up near that pond circled gracefully with weeping willows. One of them extended her trunk horizontally towards the pond and I could sit on it, dangling my feet above the water and enjoying my invisibility to others provided by the delicate and dense branches. I loved that tree and since then weeping willows have been one of my favorite trees. 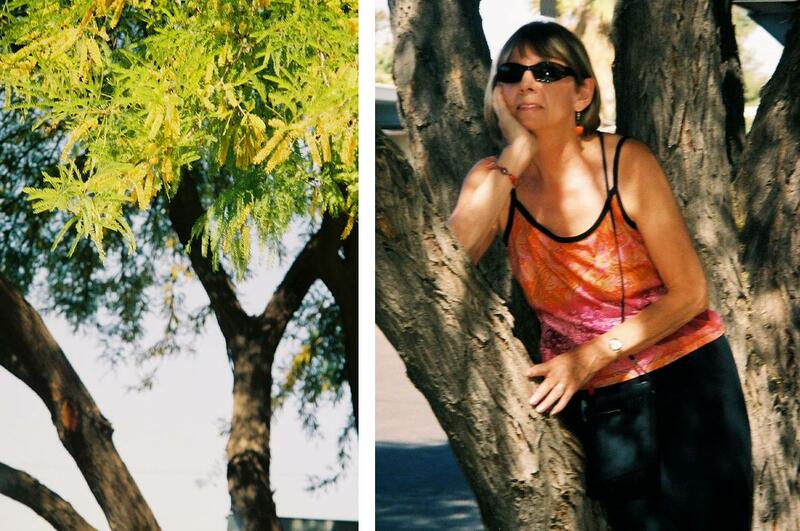 When I moved to Tucson I fell in love with the native trees of Arizona almost immediately. In fact the desert environment taught me a lot about the hardship of a plant’s life. My respect and affection for the trees here has grown enormously. 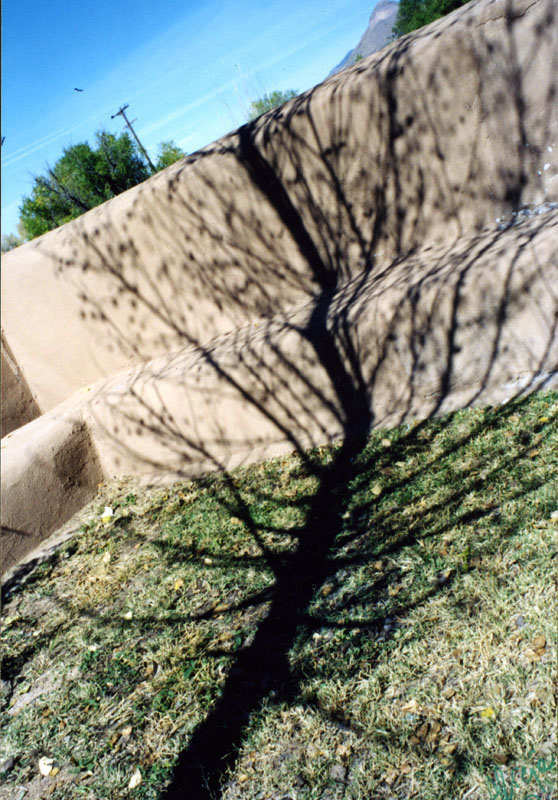 Southwest trees are very graceful and tough at the same time. How can one not love them? 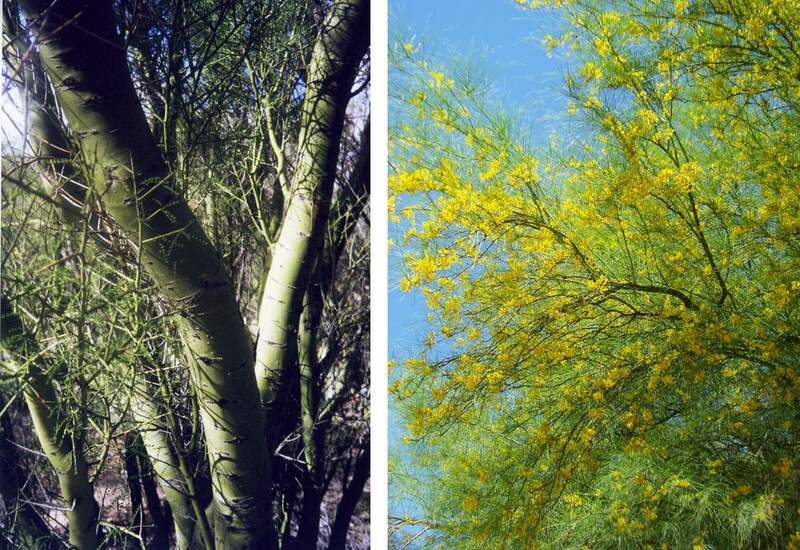 The palo verde is the official tree of Arizona. That smart and strikingly green tree is able to put to work chlorophyll not only in its needle-like leaves but in the “skin” (delicate bark) of its trunk and branches. 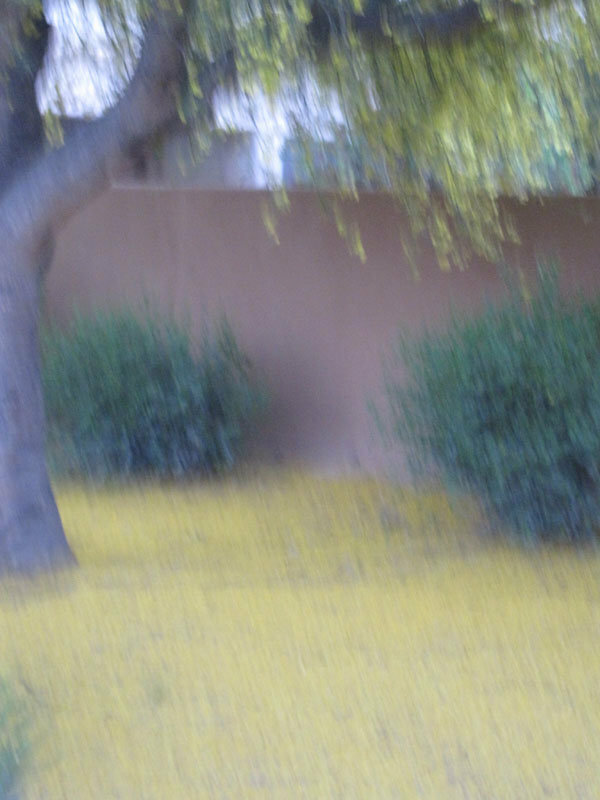 In spring the abundance of the yellow flowers of palo verdes also is impressive. 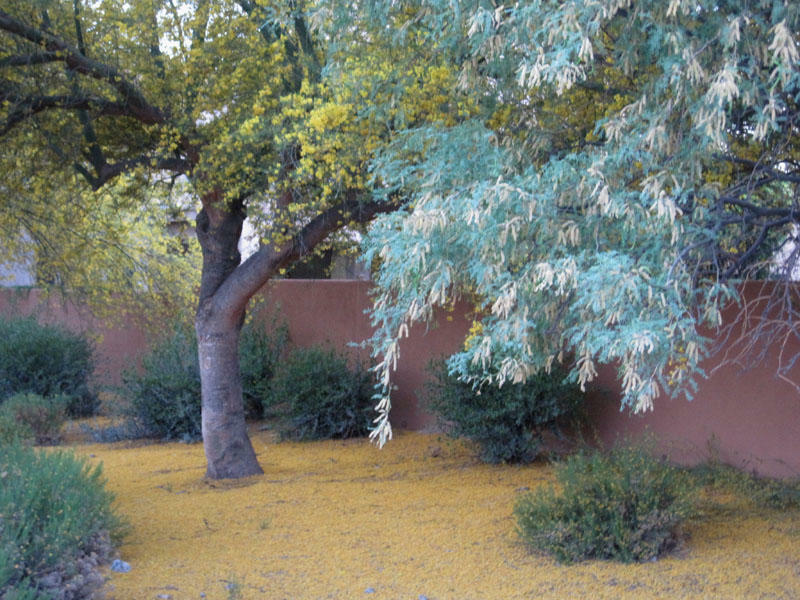 Although I adore palo verde trees, my special affection goes to the mighty mesquite, most likely because I had invested a lot of time, effort, and emotion to save one of them here in Tucson. It was one of the oldest and most beautiful mesquites I ever met. It lived in an unfortunate spot near a sidewalk in the community where I lived for several years. If that mesquite could have walked, I am sure it would have walked away from the people who felt threatened by its roots. It is true that roots can cause some problems with pavements and buried pipes, but such problems are solvable if there is a will to solve them. I fought hard for that tree and even saved its life…for a while. During my absence, however, when I had to go to Poland to take care of my terminally ill mother, the people of that community decided to cut that beautiful mesquite, anyway. That was a memorable summer for me—the summer of 2007. I lost my mom and I lost “my” tree! So when I found a different place to live—a property on which stands our renovated home and where also stands my studio—one of the important activities was adding a variety of plants. 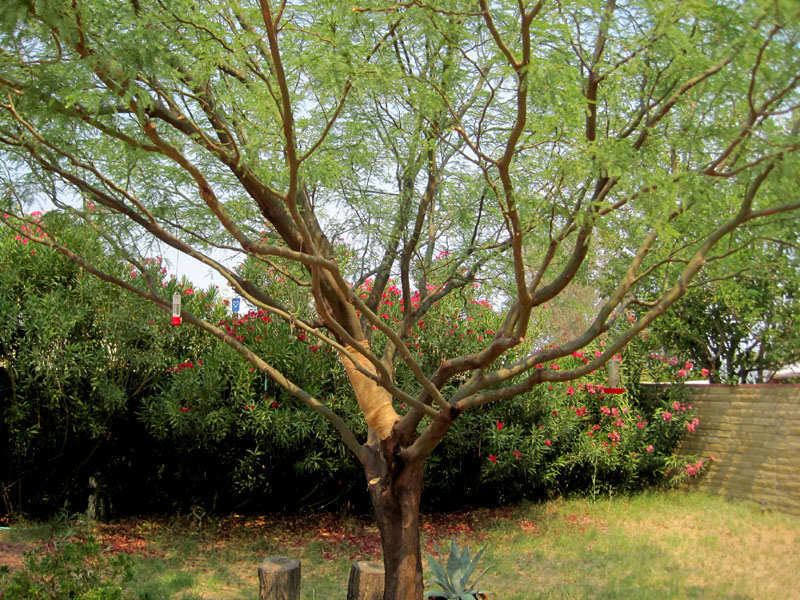 I decided to plant a young mesquite tree in honor of the one that was killed in 2007. It just so happened that our new neighbors loved trees, too, and Joe had a couple of baby mesquite trees—nurtured by him from tiny seedlings—available for planting. I got one for our yard and they got one for theirs. 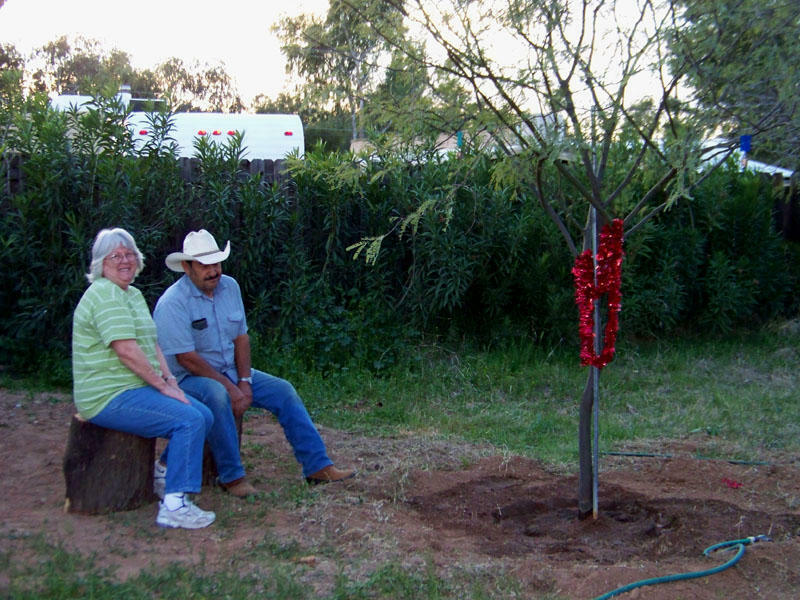 Here you can see Joe and Nancy visiting a bit ruffled young mesquite decorated with ribbon on the day of its planting. 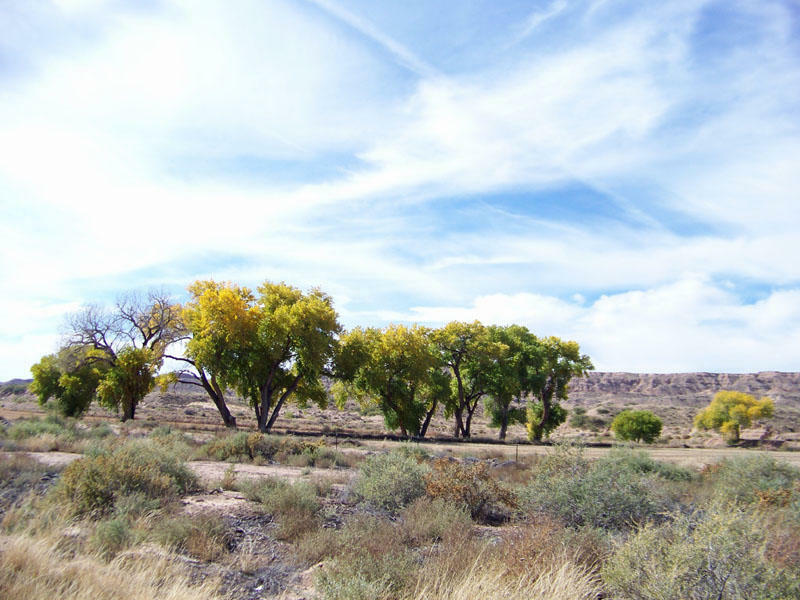 From that day we became “mesquite relatives” with our neighbors. 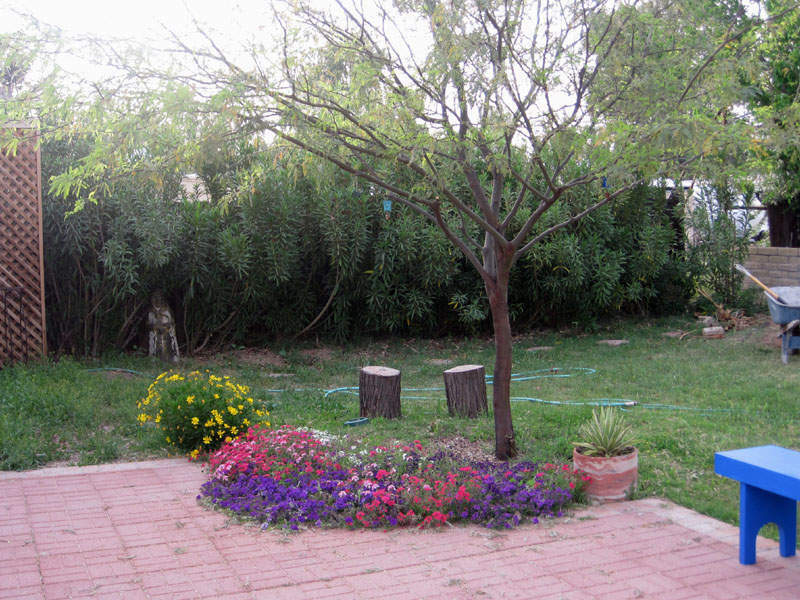 Time passed and the young mesquite grew considerably along with the other plants in our yard. The tree looked as if it were dancing, reminding me of Zorba the Greek from the old classic 1964 movie (starring Anthony Quinn and Alan Bates), and I named him Zorba the Tree. 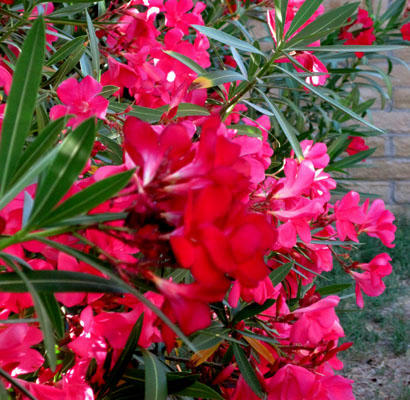 It had such a strong presence that the new patio had to be designed to embrace him and make him the focal point of our yard. Today Zorba has been with us for three years. It had to be trimmed a lot in order to grow taller and stronger. It became a favorite visiting spot for quite a few birds, including a stubborn woodpecker that injured one of Zorba’s “arms”. Little Zorba became an adult tree. His branches stretch from the studio to the house—creating a charming living ramada. Soon Zorba will have to stay alone for a couple of months during our annual visit to Cape Cod. 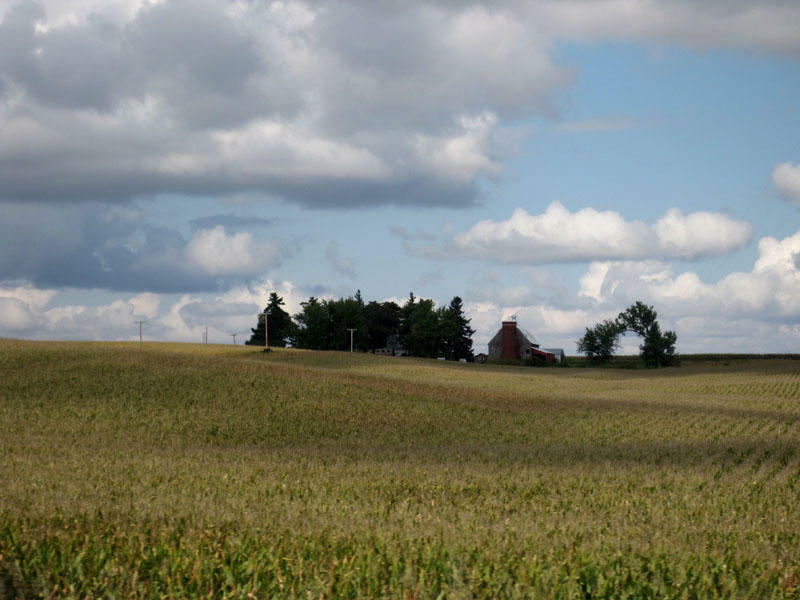 I like those trips and will see other trees through the car window while crossing the country—the trees of New Mexico or the Midwest—sometimes close and sometimes far away. Seeing trees in any place makes me happy, but the real treat is to visit trees I have known for a long time like the ones in the “wild” yard of our Cape house. The house does not have an ocean view as some people imagine, but that does not matter. It feels good to sit on the elevated deck being surrounded with the wild greenery—in fact it feels almost like being on an ocean of green. 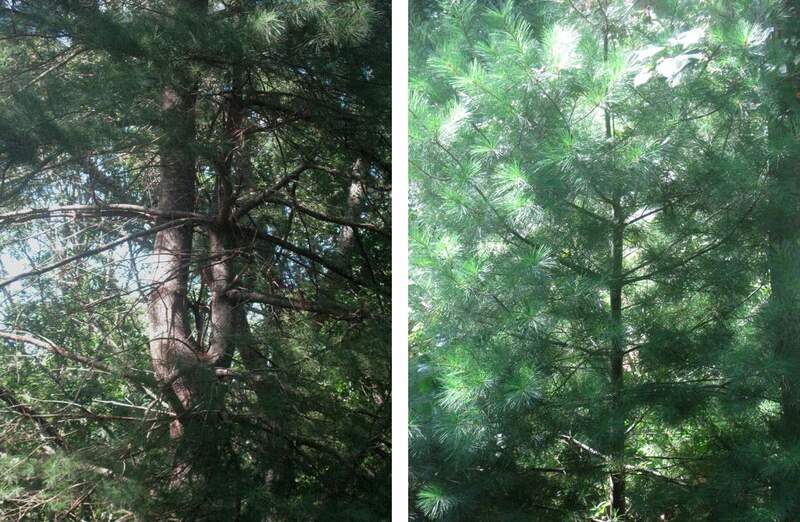 I especially like the protective presence (against hurricanes) of the tall white pines. 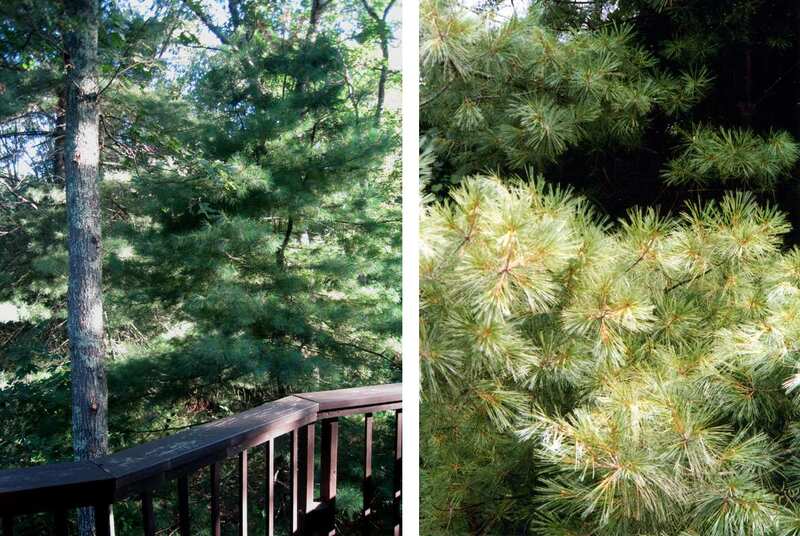 Yes, white pines are definitely my favorites there. I will be happy to see again the old and majestic grandma Ernestine—a white pine who witnessed my sons growing up around there. I like to see her family members scattered around the house. I feel these trees are my friends, almost a family. It might sound strange and even corny when I talk like that, but that does not matter. 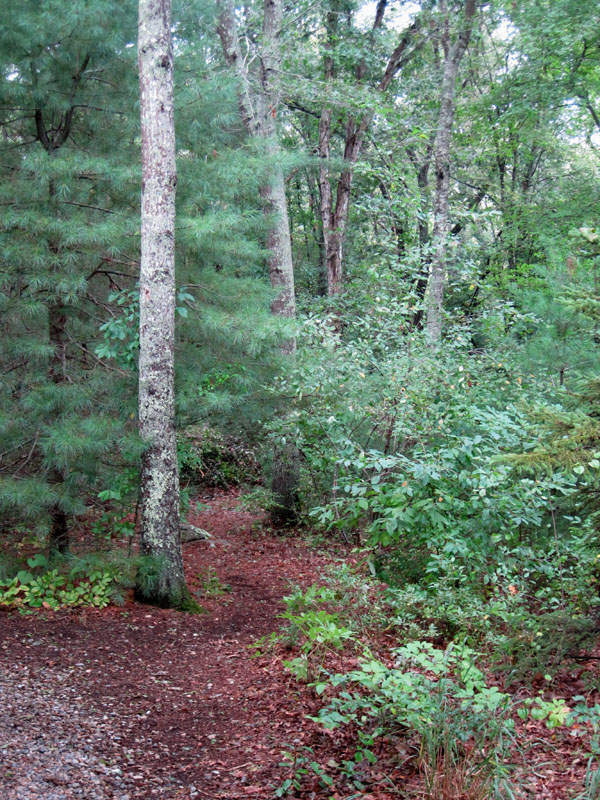 I learned these feeling towards nature partially from my father, but mostly from my Wampanoag friends on the Cape. 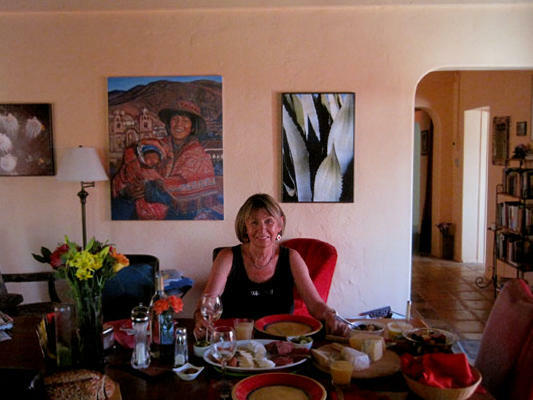 Native Americans often refer to plants or animals as “people”—like “plant people”, for instance. I like that concept very much and have incorporated into my life style and philosophy. I see my favorite plants that way, and especially trees! Trees live long among us, silently witnessing our happiness and our sorrows. Trees are strong and yet they are vulnerable the way people are. They live in communities like the ones in my Cape Cod yard. 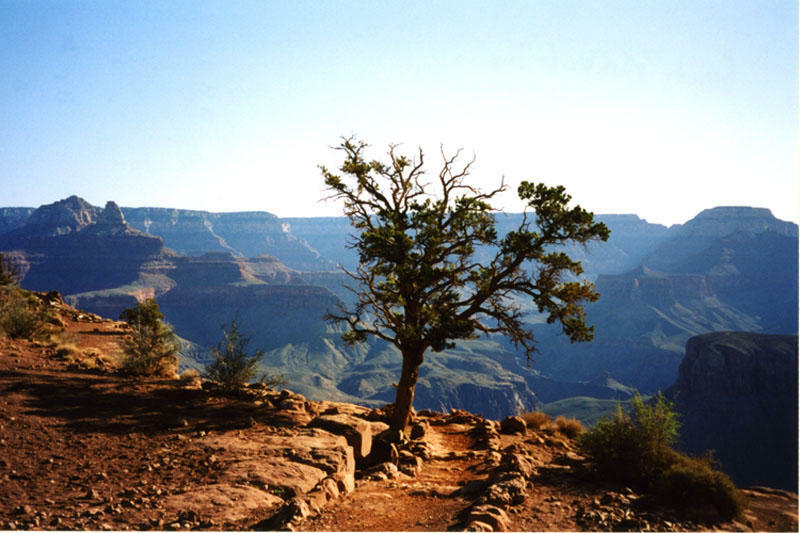 Sometimes they live a lonely life, like the tree I met on the Kaibab Trail while hiking the Grand Canyon. They dream like the “dreaming tree” below… and this is a poetic stretch of my imagination, of course. 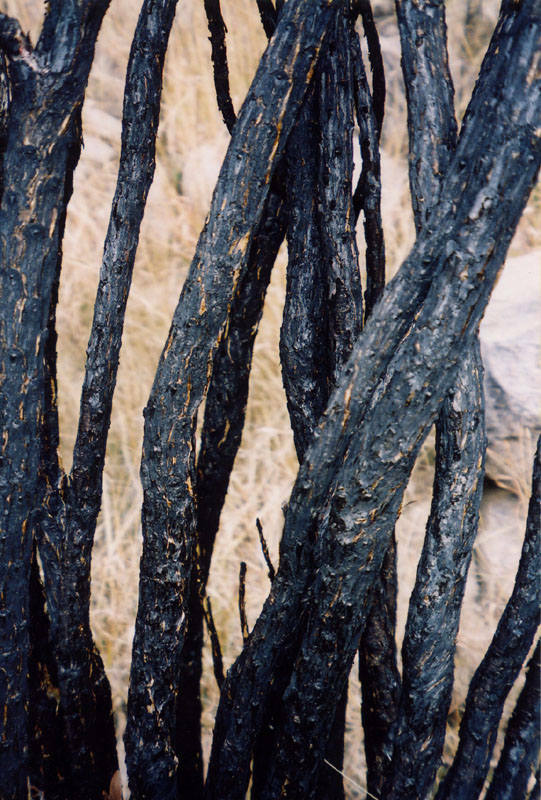 Trees can definitely get hurt badly by a fire — most likely a man made one. And I like to imagine that they cry like us …just with a different color of tears….